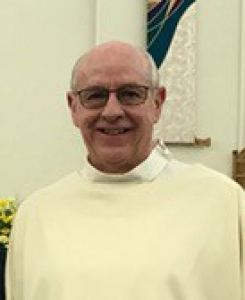 Gerard (Stick) Thibodeaux was ordained a deacon in February 2017. To Stick and Lisa, his wife, we extend our deepest thanks and congratulations. As we welcome Stick’s diaconal ministry at St. John Neumann, the liturgy and life of our parish will surely be enriched in many ways.